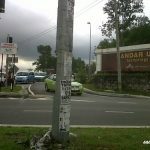 Home » Blog » Road Closure & Road Block on Friday & Saturday Due to Bersih Campaign – Massive Jam! Attention people! I have received a lot of emails and messages (Whatsapp, Twitter) about the Road Closure / Road Block on Friday and Saturday due to the Bersih Campaign on 9th July in Kuala Lumpur ! 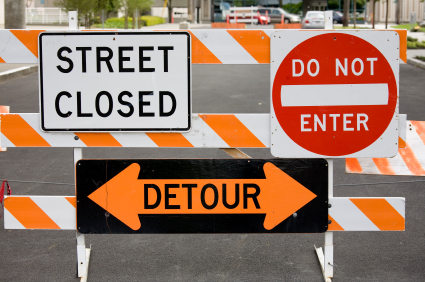 As a preventive measure, the Police will set up roadblocks with a view to create traffic diversions from 58 locations commencing from midnight Friday, July 8, 2011. 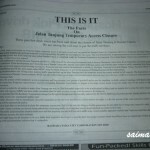 Sever traffic jam are anticipated more so on Saturday, July 9, 2011. Some of the company even encourage employees to work from home to avoid the jam and advise them not to wear yellow! OMG. Will the situation under control?? If you work in Kuala Lumpur better take a day off or leave office early to avoid stuck in a jam! 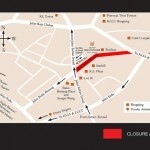 Road closure on Friday nite onwards.. THE following routes are affected in relation to the Bersih 2.0 rally scheduled for Saturday. KUALA LUMPUR, July 7 — The police are closing all major roads in and out of the city this Saturday to head off the three planned public rallies organised by the Bersih 2.0, Perkasa and Umno Youth. City police chief Datuk Amar Singh said the police received reports some groups are planning to gather at certain hotspots downtown and advised the public to keep out of Kuala Lumpur for that day if they have no business to be in town. But he said those who live and work in the area would be allowed in. Amar said the police would employ the standard practice to check their identities but declined to elaborate when asked how the cops would know if a person lived there or not. The following are the roads closed to traffic on Saturday. Jalan Syed Putra, Jalan Istana, Jalan Bukit Petaling, Jalan Bellamy and areas surrounding the Istana Negara. Jalan Sultan Hishammudin, Jalan Lembah Perdana, Jalan Chenderasari and areas surrounding the National Mosque. 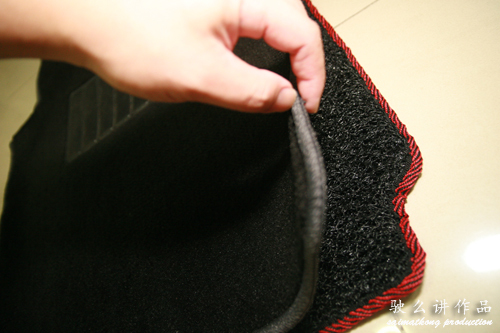 Areas surrounding Merdeka Square, Central Market, Majid Jamek, City Hall, Sogo, Maju Junction, Kampung Baru Mosque, Jalan Kinabalu, Jalan Kuching, Jalan Sultan Ismail, Jalan Raja Laut, Jalan Sri Amar, Jalan Tuanku Abdul Rahman, Jalan Haji Taib, Jalan Raja Muda Musa, Jalan Raja Bot, Jalan Raja Abdullah, Jalan Dang Wangi, Jalan Munshi Abdullah, Jalan Gereja, Jalan Raja Chulan, Jalan Tun Perak, Jalan Tun Tan Cheng Loke, Jalan Sultan Mahmud and all areas within. KUALA LUMPUR: Puduraya, Hentian Putra and Hentian Pekeliling bus terminals will be temporarily closed from 12.01am to 10pm on Saturday as police close off major roads into the city centre. Acting City police chief Senior Asst Comm Datuk Amar Singh said buses heading for Hentian Putra would be diverted to the Integrated Transport Terminal-Bandar Tasik Selatan (ITT-BTS) and those headed to Puduraya and Pekeliling would be diverted to Hentian Duta. City Holidays Express Tours & Transport Sdn Bhd general manager Jason Poh said he expected an 80% drop in business over the weekend. Konsortium Transnasional Bhd executive director Tengku Hasmadi Tengku Hashim said KTB had informed all their agents nationwide on the changes and would place posters on all their counters and express door buses. Motorists using major roads in Kuala Lumpur have been alerted of the bus route diversions through DBKL’s electronic signboards. SPAD also announced that no temporary bus permits for travel to Kuala Lumpur would be issued today and tomorrow. 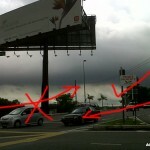 This is what happened on Wednesday where there’s few road block… Pls don’t get us stuck in jam again! 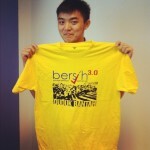 Are You Ready For Bersih 3.0 Sit-In / Duduk Bantah @ Dataran Merdeka + Perhimpunan Hijau 3.0 @ KLCC? 28/4/12, 2-4pm!